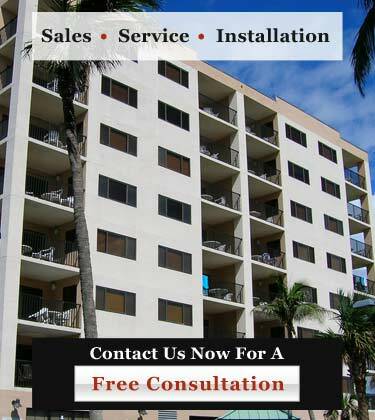 is proud to have designed and renovated windows for some of the largest high-rise and mid-rise condominiums and resorts in South Florida. Our windows feature coastal packages that have been designed and tested for Florida's east and west coasts. In addition, all of our products are Metro Dade County tested, approved for both large and small missile impact, and have the highest design pressures. carries products that are manufactured by some of the most nationally recognized window and door manufacturers in the industry and offers the highest design pressures for your project. Our company pays particular attention to details such as color configuration and design for coastal installations. Hurricane/Impact window frames are available in anodized white or bronze. Custom colors are also available at an additional charge. In addition, we carry all types of glass colors such as clear, grey, bronze, green, azure blue and solar cool. Also, all manufacturers offer low E and insulated glass. We take your project from start to completion quickly. That's why we are the leaders in the window and door industry. Call us at 954-714-6800 or contact us online today!